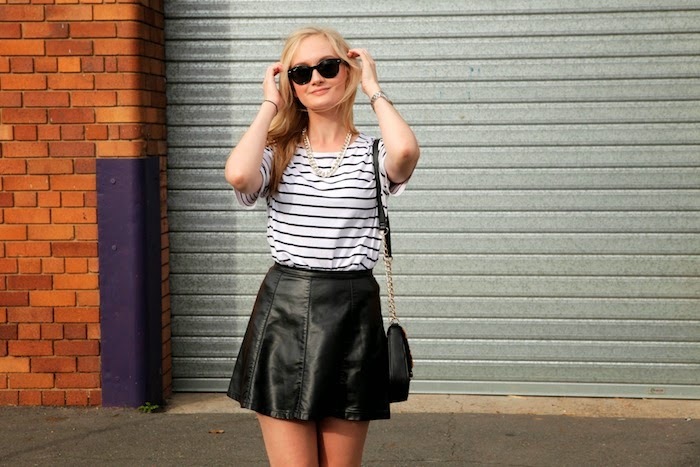 When it comes to wardrobe staples I'm all about leather and stripes- oh, and black and white. Seriously though ladies (and gents, you can do this too) stripe up your life. 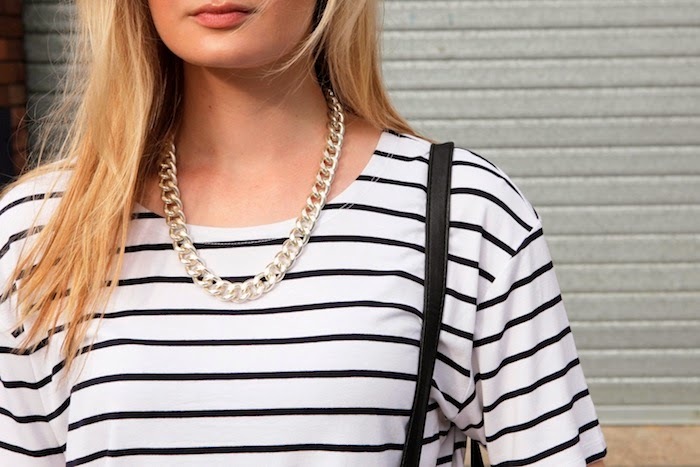 Inject some parallel lines into your closet. I can guarantee, no matter how many plain white or black t-shirts you have, add a striped one and it will be your go to. It's the new classic. Wearing: Asos top, Ally skirt, Sportsgirl bag and Roc boots. you can never have enough stripes. i have at least 5 striped tees and they are all different! Loved how you paired your shirt with the leather skirt. I neeeed a leather skirt in my life! I have so any striped tops at the moment, I love them!